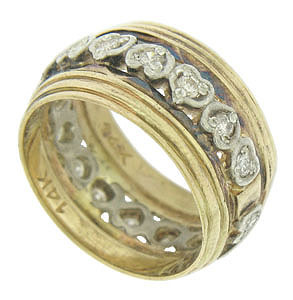 This captivating 14K bi-color wedding band features wide, impressed yellow gold bands. 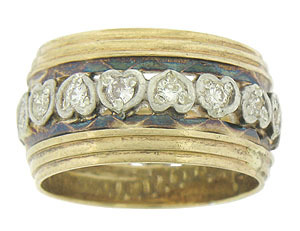 The bands caress a string of diamond frosted, white gold hearts. 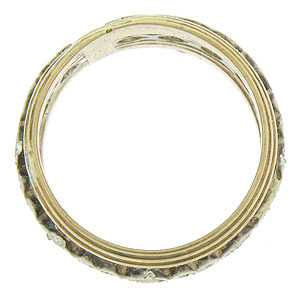 The vintage wedding ring measures 10 mm in width. Circa: 1940. Size 5 1/2. We cannot re-size.